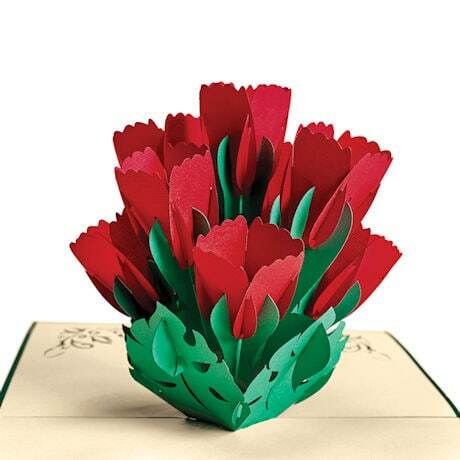 Open the card and up pops a spectacular bouquet of bright red tulips, complete with green leaves. Crafted by hand using the Asian art form of sliceform kiragami, this card is a gift all by itself. 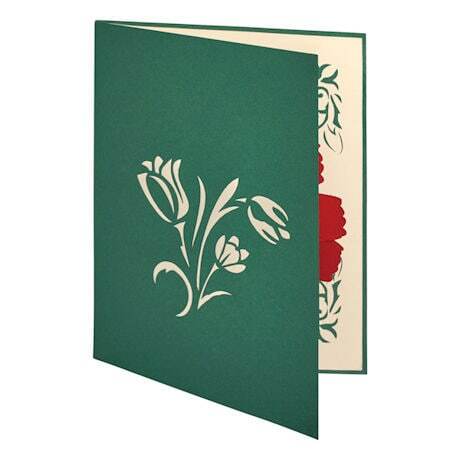 The front is a graceful laser-cut image of tulips on green. The bouquet is framed by laser-cut corners, with space to add your greeting or message. Set of 4 cards with ivory envelopes. 8"w x 6"h (open).